SPECIAL DEAL - Usually 8.95. today just 5.95 - Save £3! Large, double, deep pink, cup-shaped flowers on wiry branched stems in July and August above clumps of toothed, deep green leaves. Japanese anemones are perfect for the middle of a partially shady border. 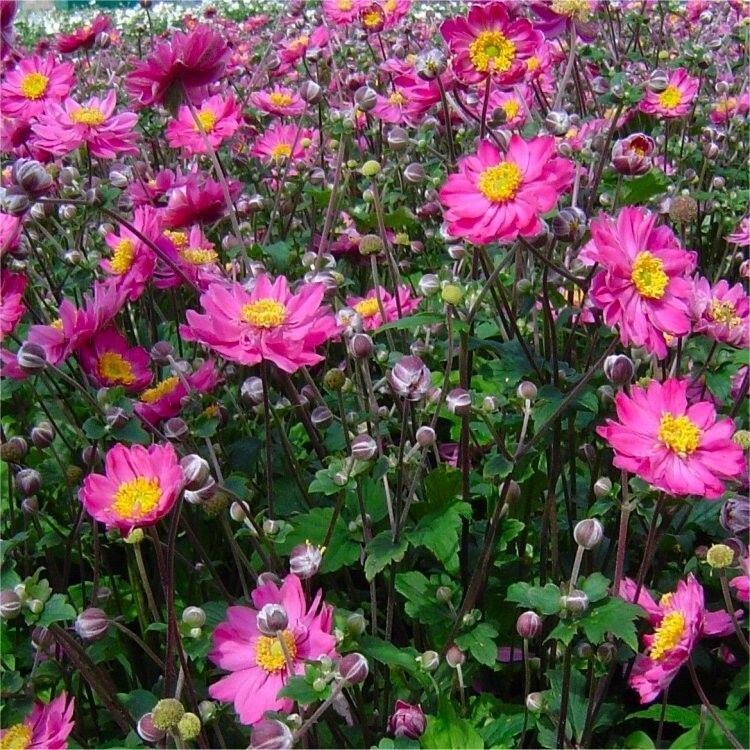 Pamina is more compact and lower growing than other varieties so is particularly suitable for smaller gardens. Supplied in approx 2-3 litre containers.